Paver driveways have increased in popularity, and it’s not hard to see why. They’re extremely durable and easy to repair, they come in limitless colors and styles to suit any taste, and a using a sealer can effectively keep stains at bay. 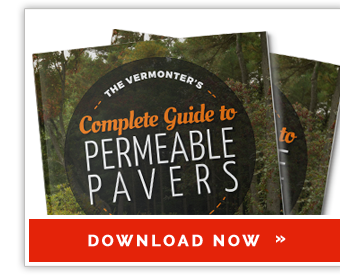 But there are many factors that can deter people from installing a paver driveway. Things like the cost of excavation, the gravel base, the disposal of poor soils, and the grading and compaction can all seem expensive and overwhelming. This is a problem that has plagued the construction industry for years, and fortunately Unilock has come up with a solution! 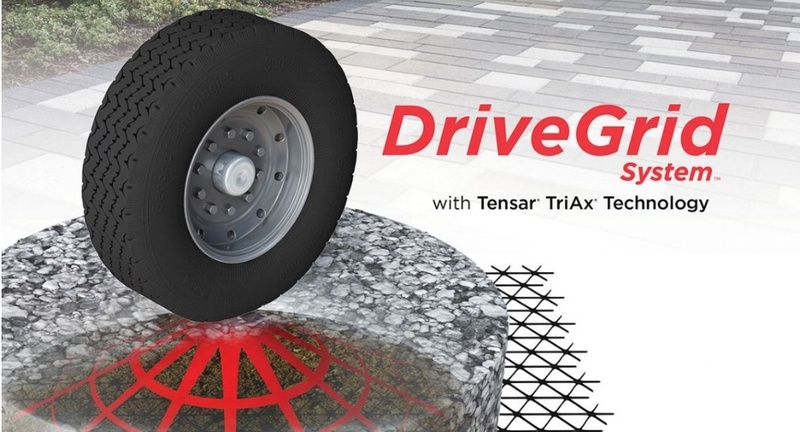 What is the DriveGrid ™ System with Tensar TriAx® Technology? Unilock DriveGrid™ Geogrid is an advanced product specifically designed for drivable surfaces. Its triangular geometry, one of construction’s most stable and widely used shapes, provides a significantly better structure than other commercially available geogrids. The result? A full 360 degrees of radial stiffness that creates three-dimensional load distribution. TheUnilock DriveGrid ™ system solves many of the challenges involved with installing pavers intended for driveways and other trafficked surfaces. This technology actually reduces overall project cost by creating more efficiency and improving the installation process. DriveGrid with Tensar TriAx technology has been tested rigorously by the U.S. Army Corps of Engineers (USACE), and the technology has continuously proven to be more effective than conventional geogrids. Tests by the USACE and other engineers around the world have consistently shown that DriveGrid™ makes it possible to build high performing roads using a thinner aggregate base, which translates into huge savings in terms of construction time and materials. To learn more about how DriveGrid™ systems can simplify your next project, contact Trowel Trades Supply.